Annie Vincent Interiors: Target home decor sale! Just a quick post to let you know about Target's mix or match home decor sale. Buy any one decor item get one 50% off! Thanks for the heads up! Need to do some shopping! 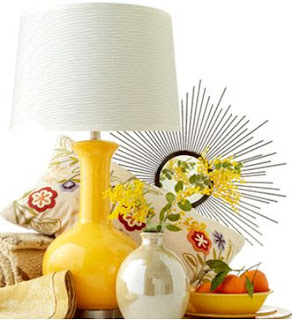 i used that same yellow lamp base in my post today, too. great minds must think alike.